12 July 2013 is observed as Malala Day across the World and by United Nations. The day is being observed by the United Nations to highlight the fight of education of the Pakistani child activist Malala Yousafzai. 12 July, the day of Malala’s Birth was declared as Malala Day by UN General Secretary Ban-Ki-Moon on her 16th Birthday. Malala is the girl from Pakistan, who was shot in head and neck by the Tehrik-i-Taliban Pakistan (TTP) on 9 October 2012 for advocating girls for their right to education and speaking against Taliban. 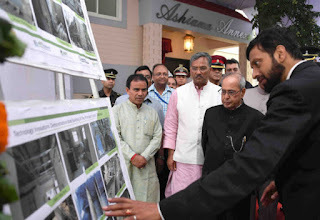 The President of India, Shri Pranab Mukherjee inaugurated the ‘Ashiana Annexe’ in Dehradun, Uttarakhand today (July 10, 2017) which comprises of twelve low cost dwelling units constructed to accommodate officers and staff of Rashtrapati Bhavan during Presidential visits to the Retreat at ‘Ashiana’. These dwelling units have been constructed using the Habitech-NivaraTantra - Onsite Sanitation Integrated Community Housing Technology Innovations developed at the Asian Institute of Technology (AIT). The Technology innovations comprise unique blocks known as "compacted intermeshing" blocks which are made from local soil. The production of these blocks is on site and is an entirely green process. These blocks have novel cavities for horizontal and vertical reinforcement using steel bars which results in eliminating use of the conventional beams, columns and concrete lintel. The cavities also enable natural air curtain against temperature, noise pollution and water penetration. Other salient features of these dwelling units are that they are disaster resilient, sustainable and cost effective. Scientific treatment of sanitation waste enables mitigation of disease risk and ensures health and wellbeing of residents and the community. With a view to promote and create awareness about the National Pension System (NPS) and improve the quality of services provided to the subscribers, PFRDA is observing NPS fortnight from 27th June, 2017 to 11th July, 2017 successfully. Keeping in view the demand raised by Government Nodal Offices and also benefits to the NPS subscribers, PFRDA has decided to extend the NPS Service Fortnight from 11th July, 2017 to 21st July 2017. 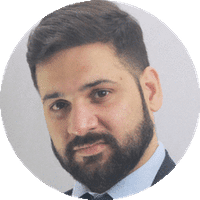 During this extended period also all the nodal offices, Pay and Account Offices and DDOs under the Central and State Governments, Points of Presence/ banks/ aggregators/ banking correspondents etc. 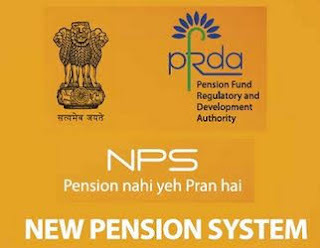 will be involved with the acquisition, servicing of NPS subscribers and creating awareness about the National Pension System, in a proactive manner. NSDL has also developed an exclusive web link i.e. https://npscra.nsdl.co.in/nps.php ,which encapsulates all the information and functionalities related to NPS subscriber, including 'NPS Mobile App', which may be instrumental for effective & efficient use of NPS Service Fortnight. On 12th July 2017 NABARD celebrated its 36th foundation day. National Bank for Agriculture and Rural Development (NABARD) is an apex development bank in India, headquartered at Mumbaiwith branches all over India. The Bank has been entrusted with "matters concerning policy, planning and operations in the field of credit for agriculture and other economic activities in rural areas in India". 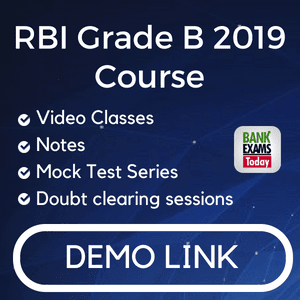 It replaced the Agricultural Credit Department (ACD) and Rural Planning and Credit Cell (RPCC) of Reserve Bank of India, and Agricultural Refinance and Development Corporation (ARDC). It is one of the premier agencies providing developmental credit in rural areas. 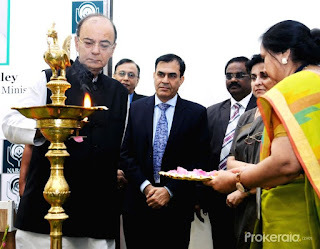 NABARD is India's specialised bank for Agriculture and Rural Development in India. Members of the committee include Secretaries to the Departments of Personnel and Administrative Services, Home, Law and Parliamentary Affairs, president of Kannada Sahitya Parishat, chairman of Kannada Development Authority, vice-chancellor of Kannada University, Hampi, and Director of Department of Kannada and Culture. 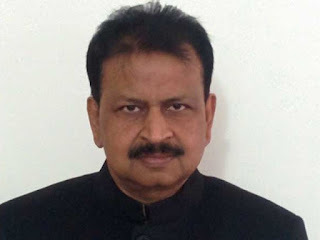 The committee was constituted following representation from journalist-writer and president of Karnataka Vidyavardhaka Sangha, Dharward, Patil Puttappa, and social worker Bheemappa Gundappa Gadada to the government. 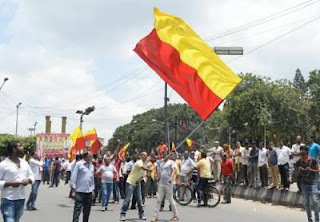 They urged the government to design a separate flag for Kannada ‘naadu’ and accord statutory standing for that. 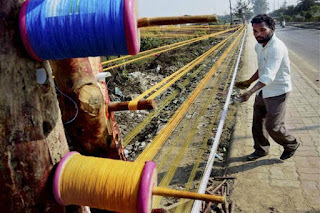 The National Green Tribunal on Tuesday imposed a complete ban on 'manja', the string used to fly kites, made of nylon or any synthetic material which is non-biodegradable, saying it posed a threat to the lives of birds, animals and humans. The state’s public health department launched a programme called Antara on July 10 to offer women an injection of Medroxyprogesterone acetate (MPA), a birth-control hormone. The injection is supposed to be used within a week from the day a woman’s menstrual cycle starts. 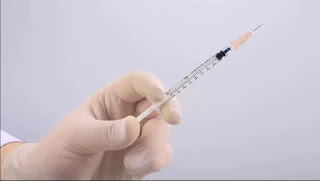 Currently, the injections are available for free at public health facilities in Mumbai, Pune, Raigad, Nandurbar, Ahmednagar, Aurangabad, Kolhapur, Sangli, Ratnagiri and Beed. Japan's Okinoshima island, an ancient religious site where women are banned, has been declared a World Heritage site by the UN's cultural body Unesco. 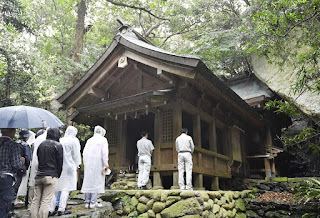 Okinoshima is home to the Okitsu shrine, built in the 17th century to pray for the safety of sailors. GMR Goa International Airports Ltd, a subsidiary of GMR Airports Ltd, has executed a debt facility agreement for the development of Greenfield airport at Mopa. The GMR arm had won the bid to develop and operate the Greenfield airport at Mopa in North Goa last year and the concession agreement was signed on November 8, 2016. The foundation stone for the project was subsequently laid by the Prime Minister, Narendra Modi, on November 13, 2016. Goa has been witnessing an aviation boom with traffic at the existing Dabolim growing at near 30 per cent annually for the past three financial years.As per the concession agreement, GMR will design, build, finance and operate the international airport for 40 years with extension option for another 20 years. The Greenfield airport will be developed in stages and will be scaled up as per traffic growth demands. The airport will be a full service airport catering to domestic and international passenger besides freight services. 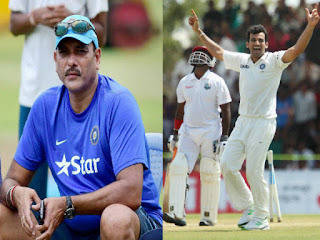 BCCI confirmed the Ravi Shastri as the new coach of the Indian cricket team, while also naming Zaheer Khan as the bowling coach. Shastri, in the process, won five-way battle to grab the post until 2019 Cricket World Cup. 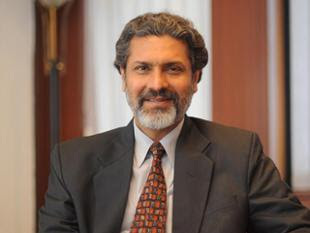 Rajeev Dubey, Member Executive Board, FICCI and Group President (HR & Corporate Services), Mahindra & Mahindra Ltd, got elected to the International Labour Organisation (ILO) Governing Board on June 12 at Geneva. The ILO Governing Body is an apex level policy making and oversight body with 56 members comprising 14 members from the Employers, 14 from the Trade Unions and 28 from the Government. ILO is a part of UN family having 184 member countries with head office at Geneva. Rajeev has been elected against the seat for South Asia. Mr Dubey joined Mahindra & Mahindra Ltd in January 2004 after a career spanning 29 years in the Tata Group, which he joined in 1975 as a member of the TAS, the central managerial cadre of the Tata Group. Mr. Dash was the acting DRI chief for the past five months. He has earlier worked in the UN Security Council, Commonwealth Secretariat and the CBI. 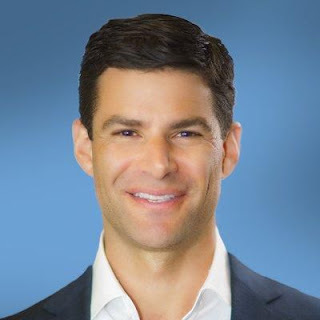 Ned Segal, a longtime Goldman Sachs banker and the former Senior Vice President of Finance at Silicon Valley's financial software company Intuit, has been appointed as the new Chief Financial Officer at Twitter. Segal will take over the CFO role from Anthony Noto, who was promoted to COO post last November. Segal will report directly to Twitter CEO Jack Dorsey. 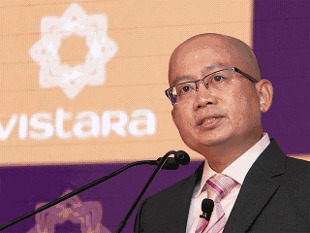 Full service carrier Vistara today named Singapore Airlines veteran Leslie Thng as its new chief executive officer who will take charge in October. Leslie Thng would replace Phee Teik Yeoh, who has been steering Vistara since its establishment more than two years ago. Vistara -- a joint venture between Tata Sons and Singapore Airlines -- began operations in January 2015. The board of Vistara and the airline's two promoters -- Tata Sons and Singapore Airlines -- as part of the plan, named Leslie Thng to succeed Phee Teik Yeoh as chief executive officer effective October 2017, a release said. 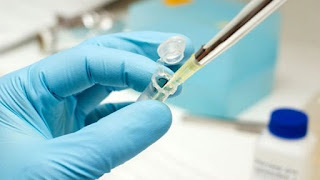 A vaccine has for the first time been shown to protect against the sexually transmitted infection gonorrhoea, scientists in New Zealand say. There are fears gonorrhoea is becoming untreatable as antibiotics fail. The World Health Organization sees developing a vaccine as vital in stopping the global spread of "super-gonorrhoea". Researchers at the University of Auckland analysed data from sexual health clinics and found gonorrhoea cases had fallen 31% in those vaccinated.